On January 20, at a conference about South-North Korea Olympic participation, the International Olympic Committee (IOC) approved the proposal that would allow the two nations to join forces and enter a single united female ice-hockey team. It is the first time ever that South and North Korea sent a unified team to an international sporting event in 27 years since the World Table Tennis Championships and World Junior Soccer Championships, both held in 1991. However, there were only 20 days until the Olympics when the participation was announced. With the unexpected joining of North Korean players, the team’s head coach Sarah Murray objected to the idea at first, saying, “It is shocking for joint team discussion to be held this close to the Olympics.” The pros and cons of the issue were also discussed among the public. Objection was much stronger. Because of forming a joint team between the South and North, established South Korean Team should have been reorganized so that some of athletes would be denied their chance. But South Korean government's stance was firm. So that, on February 10, the history of the single inter-Korean female ice-hockey team was written with its first game being played against Switzerland. A look back on the history of the Korean Peninsula shows that the formation of a unified team is not a one-off collaboration. Because of the North's nuclear provocations and bitter recriminations from U.S. President Trump, voices of concern regarding possibility of war were heard not only domestically but also internationally. To ease such concerns, a unified team of South and North Korea athletes provides a sense of peace. Peace is the most important spirit at the Olympic Games. This spirit of peace was what initiated the first Olympic games in ancient Greece; i.e., they were held as a means to stop the frequent wars with neighbouring countries. 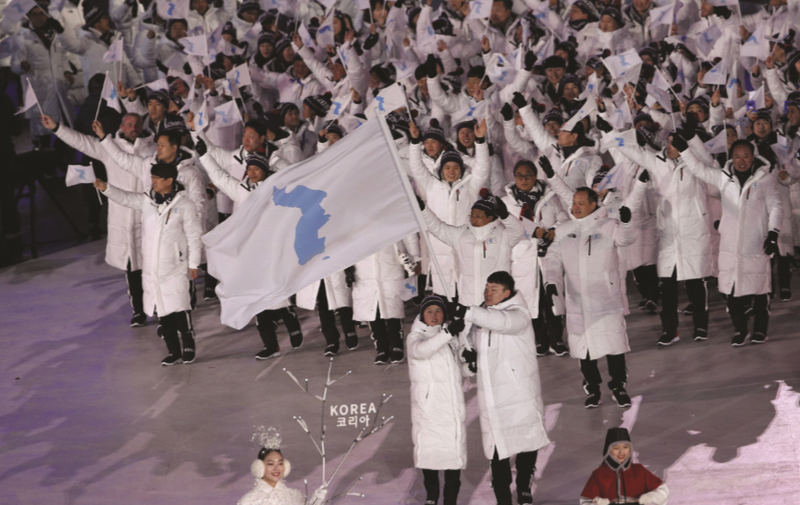 By hosting the Olympics on the divided Korean Peninsula and especially in the divided Gangwon Province, the unified team was seen as the epitome of peace. The North Korean nuclear issue is at the core of the international agenda. However, a game of chicken, solely made up of provocations, seems to forward an ill-fated solution. North Korea was not budge despite numerous warnings. In this situation, friendly relations can be the key to deal with North Korea, furthermore its nuclear arsenal. The unified team was actively supported by North Korea, not just a South Korean endeavor. From collaborating a unified athletic team, the possibility of building a positive relationship between South and North Korea was opened. Like a phrase ‘strike while the iron is hot’, this also can be the chance of a new phase on international relations to the peace. We should be laid to our heart a unified Korea flag waved in the athletes’ hands at the opening ceremony, which should be the goal of Korean Peninsula to make steady progress toward.